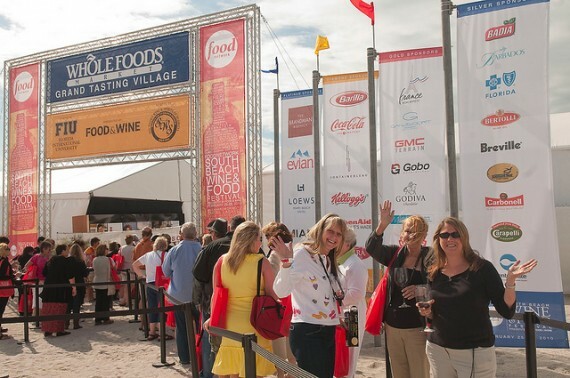 Research conducted by hospitality management professors Miranda Kitterlin and Michelle Yoo from FIU’s Chaplin School of Hospitality and Tourism Management is holding promise on approaches that marketers can use to draw attendees to food and wine festivals. Their research paper titled “Festival Motivation and Loyalty Factors” recently published in Tourism and Management Studies. The research work explored whether attendees’ motivation and loyalty behavior were affected by festival factors and whether the festival atmosphere is influenced by the type of attendees. They conducted their research at the 2013 Food Network South Beach Wine and Food Festival presented by FOOD & WINE. Their work confirmed that “festivalscapes,” or the general atmosphere experienced by festival patrons, have a significant impact on attendees’ motivation and loyalty behaviors. Additionally, the study found that the type of guests (local residents versus non-local and repeat visitors versus first-time goers) also have a significant impact on the “festivalscape” factors. To carry out the study, the researchers implemented a primary field survey design and developed a questionnaire based on previous research. Kitterlin and Yoo surveyed 244 people during the two days of the Whole Foods Market Grand Tasting Village event. The people surveyed were asked about why they attended the festival (motivation) and their loyalty behaviors. The survey also measured how likely the festival environment cues affect their return intention. Additionally, a total number of 12 measurement items of motivation items, 10 items of loyalty, and 30 items of “festivalscape” factors from the literature review were analyzed through factor analysis. To read the paper in its entirety, please click here.